Most people do not think about their taxes until April. But not you. Because you want to minimize your taxes and increase your refund amount. Mid-year is a good time to reflect on how you are doing so far this year in terms of taxes and adjust your tax saving strategies if need be. You can use the following checklist for your mid-year tax checkup. Also included are some tips that will help you get the largest refund amount possible. You do not need to have dependents to increase your refund amount (though don’t forget to include them if you do). Here are six things that influence the refund amount that you can capitalize on today. Are you on track to contribute to the maximum to your 401(k), IRA, and HSA accounts? These accounts can offer substantial tax savings by way of tax deferral or tax deduction, and the investment income in the account is completely tax-free. For example, you can choose to contribute part of your salary to your 401(k) account. Your contribution is not taxed. This means that you can reduce your taxable income by the amount of contribution, therefore reducing your overall tax liability. In 2018, employee salary-reduction contributions to a 401(k) max out at $18,500 (or $24,500 if you are 50 or older). If you are in the 25% tax bracket, you will save $4,625 in tax if you max out your 401(k) account. If your investments’ after-tax returns are not optimal, consider placing fewer “tax inefficient” funds, such as active stock funds, in your taxable accounts. Instead, place more tax efficient funds, such as muni bonds, in your taxable accounts to minimize your tax exposure. Because investment income in tax-advantaged accounts, such as 401(k)s and IRAs, is tax-free, you can instead place more of your tax-inefficient funds in your tax-advantaged accounts. Depending on what you own, you may not want to sell to make your investment portfolio more tax efficient. Doing so may incur additional taxes and transaction fees from selling your investments. Instead, you can choose to not automatically reinvest taxable distributions, and take any distributions in cash and reinvest them in a tax efficient manner. There have been some rocky years for stock investors. Have your investments lost value? If so, you may want to sell these investments and use your losses to offset gains from other investments. This will reduce the tax on these gains. You can use any leftover losses to offset up to $3,000 of your ordinary income (such as salary and rental income) from tax. Any unused losses can be carried to future years until they are used up. Major life events can affect your tax situation and drastically change your refund amount. For example, a change in marital status can change your tax situation. Getting married gives you the option to file jointly, and you can also take advantage of the higher personal exemptions and standard deductions, which can reduce your overall tax liability. However, some couples may face the “marriage penalty,” especially if they have similar earnings and don’t have kids. The marriage penalty happens because the brackets for married filing jointly is not double that of single filers for every income range. So you and your spouse’s income combined will move you to a higher tax bracket, even though each of your will be eligible for a lower tax bracket if you filed as single. 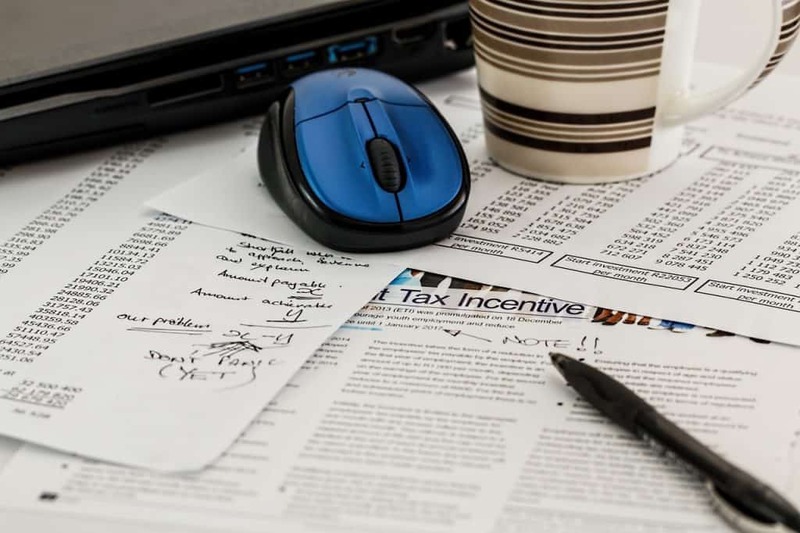 There are many different types of expenses that can be used as itemized deductions, such as medical expenses, investment expenses, gifts to a charity, and tax preparation fees. Be sure to keep good records of these expenses. Without these records, the IRS could disallow your deductions. Owning a home can offer you a lot of tax breaks. One tax break that people overlook is the 14-day tax-free home rental tax advantage. If you rent out all or part of your home for 14 days or fewer per year, all the rental income you receive is tax-free, no matter how much you earn. To get this 14-day tax free rental advantage, the home must be used personally for more than 14 days, or more than 10% of the total days it is rented to others at a fair rental price. It is very easy to meet these requirements if you live in the same home and only rent out a room. But if you rent out the entire place, it is important that you keep good records and keep track of your rental and non-rental days so you don’t run into a problem if the IRS asks. Take advantage of the 14-day tax-free rental before the year ends! After reviewing each of these ways to get the largest tax return possible, how do you measure up? What is the maximum tax refund you can get if you make these simple changes? Unfortunately, only you can answer these questions for yourself, because only you have the power to determine what you will change. But the more you are willing to change now, the higher your tax refund amount will be next April. Maximizing the 401-K to me is something that everyone should be doing, especially the younger workforce. I can tell you from experience, retirement can get here faster than your money will!